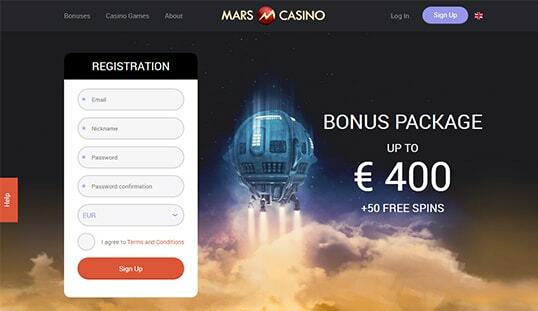 The sky is the limit as Mars Casino takes players to the gaming heights with its offerings powered by the SoftSwiss platform filled with games. There’s a new casino in town and it wants to take you to a new world. 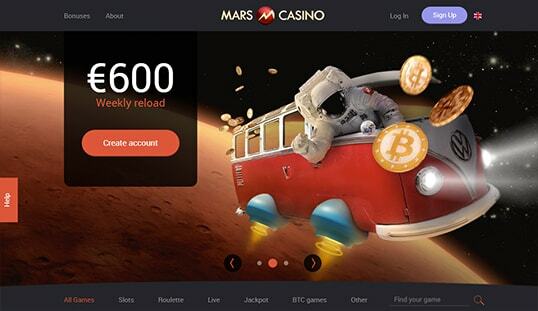 Mars Casino goes for an interplanetary theme. With its focus on delivering a great gaming experience, this casino looks to be a great addition to the market. 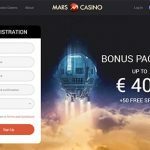 Mars Casino was launched just this year, with license from Curacao. The site operates using the SoftSwiss platform. This ensures that people will be able to enjoy a great experience, with the solid backing of the online gambling industry’s big names like NetEnt, Microgaming, BetSoft, Amatic, eZugi, and iSoftBet. This casino, however, restricts players from the US and UK. This Bitcoin casino has a wide variety of games. There are slots, roulettes, and a live dealer game. The site is still starting out so it has a bit of a limited collection, but the games are provably fair and several of them accept Bitcoin, so that is good enough. 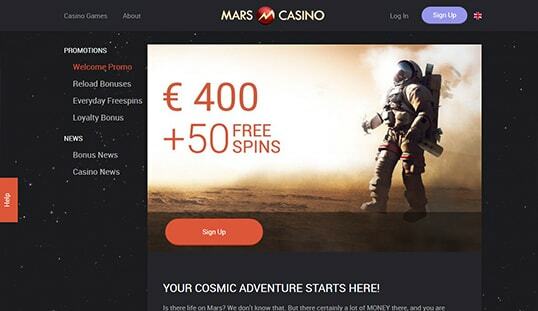 Mars Casino is very well-made and is very dedicated to its Mars theme. People can see astronauts decorating the site and the Mars landscape is a prominent part of the design. The site is also very intuitive and can be accessed very easily. Pairing the high-quality graphics with the technology provided by SoftSwiss creates a more than decent gaming experience. 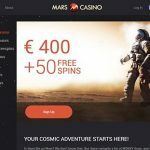 Mars Casino is very easy to start playing at. All you need to do is give your email, a password, and a username. After that, just click on the sign-up button and you will be able to have an account ready for play. 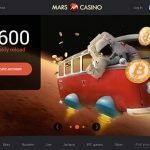 Mars Casino accepts Bitcoin via Cubits. This means people can pay with their credit cards or e-wallets. People can also do transactions in the normal manner, but deposits and withdrawals are often faster when done in Bitcoin. This Bitcoin casino offers four major bonuses. The first one is the welcome bonus. It gives new players 50 free spins and a bonus of 100% on their first deposit, 25% on the second, and 50% on the third with a limit of €400. There are also 25% reload bonuses for deposits on Monday, Tuesday, and Wednesday. Players can also get free spins every time they deposit for the third time in a day. Finally, players who have made at least four daily deposits will get a 15% cashback on their deposits. The site’s main avenue for support is live chat. Click on the help sidebar and a chat window will appear to provide you with immediate help.